Is Data Proficiency More Important Than a Second Language? 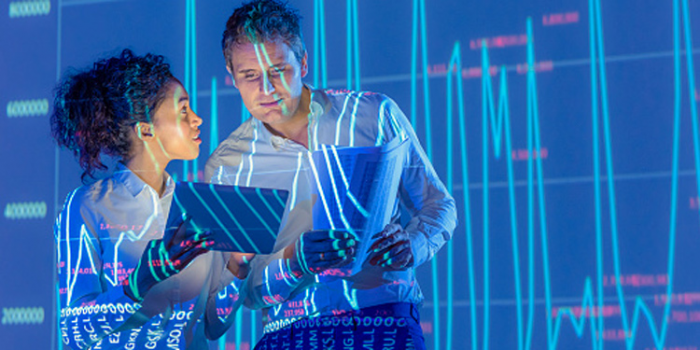 Data and analytics skills could be more important in business than industry experience, management experience, or a second language, new research from Alteryx has revealed. The Business Grammar Report, commissioned by the self-service data analytics company, surveyed UK business leaders and found that over a quarter (26%) consider data and analytics skills to be the most important skill or capability for a potential new employee. In total, 60% consider data and analytics skills as one of the top two skills or capabilities, with industry experience coming just above (69%). Less than a quarter (22%) now feel that multilingualism is one of the top two qualities for potential hires, despite the fact that a report from as recent as 2014 suggested two thirds of British businesses identified a demand for second languages. Alteryx research found that the shift in the importance placed on data and analytics has also been reflected in the way businesses manage and interact with data. Recognizing that data can no longer be confined to the IT department or technical specialists, the study uncovered that only 15% of UK businesses still leave data analysis to an IT or business intelligence team. In fact, 31% of business leaders are already empowering business users with self-service analytics tools to help them quickly solve daily business challenges. Data analytics is now considered so integral to business that nearly four out of five (79%) business leaders surveyed feel that data analytics should be a compulsory part of all MBA programmes. Decisions about how data is looked after are spreading throughout organizations. In total, 40% of those surveyed reported that decisions about how data is accessed, integrated and analyzed still lie with the IT team, but 26% reported this is the purview of departmental leaders and 29% attributed this responsibility to the executive leadership. Furthermore, over two thirds (68%) feel it’s become easier to get the data needed for decision making over the last year. “Most organizations depend on the IT department or business intelligence team for analytics-based decision-making, but things are changing. Business leaders are demanding more agile and flexible insight. Organizations can boost the speed and quality of analytics by adopting a “DIY approach,” Wilson explained. “In the last few years, we have seen tremendous change in the data landscape,” commented Andy Cotgreave, senior technical evangelist at Tableau. “We’ve moved from a place where data was hidden away in the darkest corners of an organization to a point where it can be harnessed by almost anyone. Every business user has the opportunity to uncover value in data, and the research from Alteryx shows this has been recognized at all levels in UK business. “Data has opened up competition in the modern business world – we know that the answers companies want are out there, waiting to be discovered. The winners are those organizations which equip and educate their teams to find and share them,” Cotgreave said. The research highlighted that a number of challenges still exist around data analytics in business. When it comes to getting the data needed for decisions, incomplete data is the biggest problem for 43% of business leaders. Just under half (46%) of the time, data received from another department or business division needs to be cleaned, repaired or re-organized before it’s ready for analysis. Only 31% of those surveyed report that their teams have all the data they need in one place, with 41% reporting that they use data from more than five separate sources for decision making. The research consists of findings from a survey of 263 senior UK business decision makers undertaken in June 2016. Participants were manager or director level. Commissioned by Alteryx, the research was conducted by independent business consulting firm Morar. 95% of UK business leaders currently use data and analytics to make or contribute to business decisions. Over half of the decisions business leaders are currently making (57%) require data to be effective, but UK business leaders currently feel that only 58% of these decisions are actually supported by enough data. 59% of those surveyed report that they or their teams still use Excel spreadsheets for data analysis, far outstripping any other system, application, or data source. Excel spreadsheets are still the most popular way to share analysis internally, used by 49% of respondents. Static reports are the second most popular, with 40% using them, while visualization tools were a distant third at 20%. When it comes to data management and use, cloud-based operational applications – such as Salesforce or Marketo – are used by only 30%, while only 22% have cloud-based storage or analytical environments, such as Amazon RedShift.